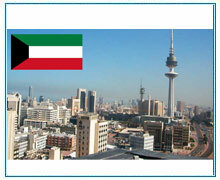 The economy of Kuwait majorly circles around the oil and gas industry as it has the 5th largest reserve of oil and gas. So the economy largely revolves around the Oil and Gas industry. There are various supporting industries which helps in state’s economy like Along with them supporting industries like hospitals, education, hospitality etc. Kuwait is a modern society which persist high purchasing power, so the demand of sales personnel in on rise to deal with luxury brands. Moreover, the demand of fashion designers and automobile engineers are also increasing. Our company is actively involved in solving problems related to manpower and recruitment in the entire Middle East for over a decade. We provide entire solution for all the problems whether it is related to workers, CEOs or directors. We have vast experience in finding and polishing talents and we find right talent to take the business activities of our clients to the whole new and advance level.